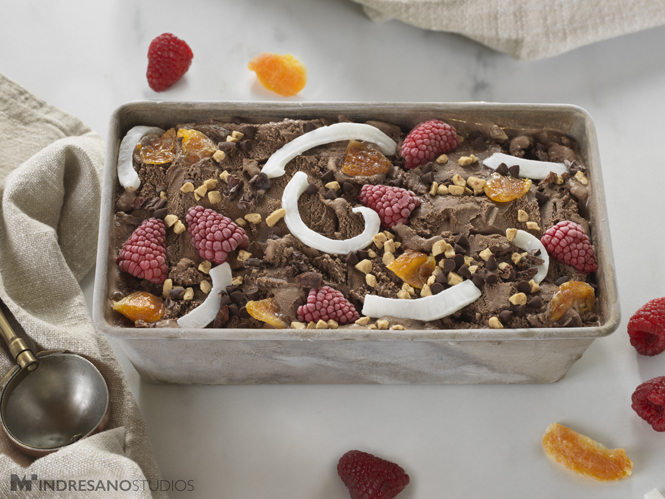 It is never too cold at Indresano Studios for an ice cream shoot! 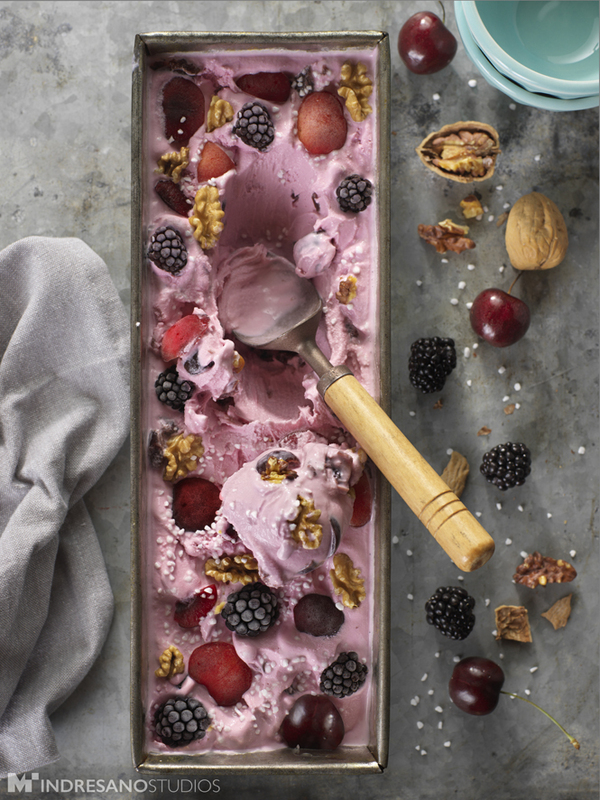 Check out some of our final ice cream images below from our recent photo shoot. 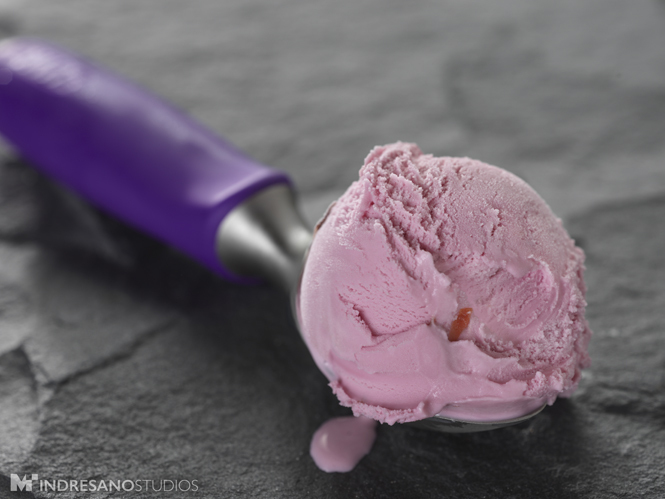 Why have one scoop of Strawberry ice cream when you can have two? 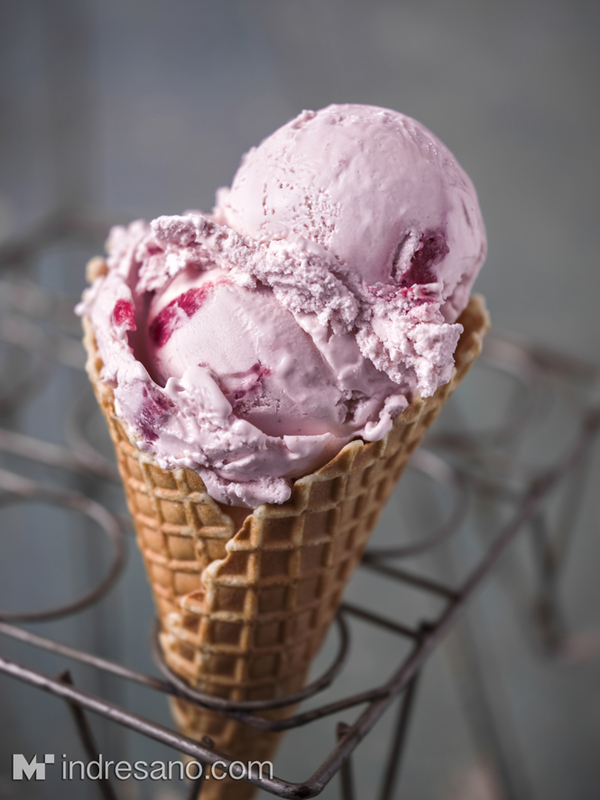 Cherry Jubilee ice cream is not only beautiful to photograph, it’s also delicious! With this Wild n’reckless flavor, we kept the set simple and plain so the fun colors could pop. 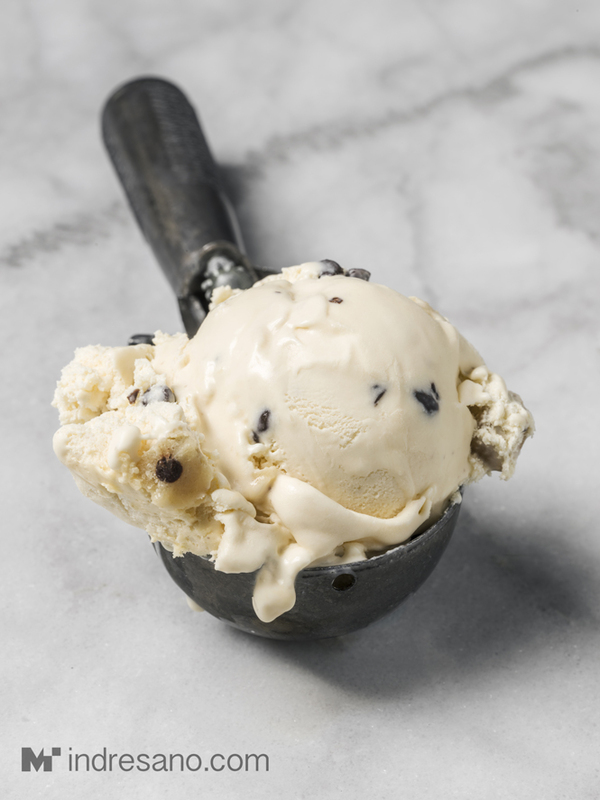 Chocolate chip ice cream is good in any season- even in New England! 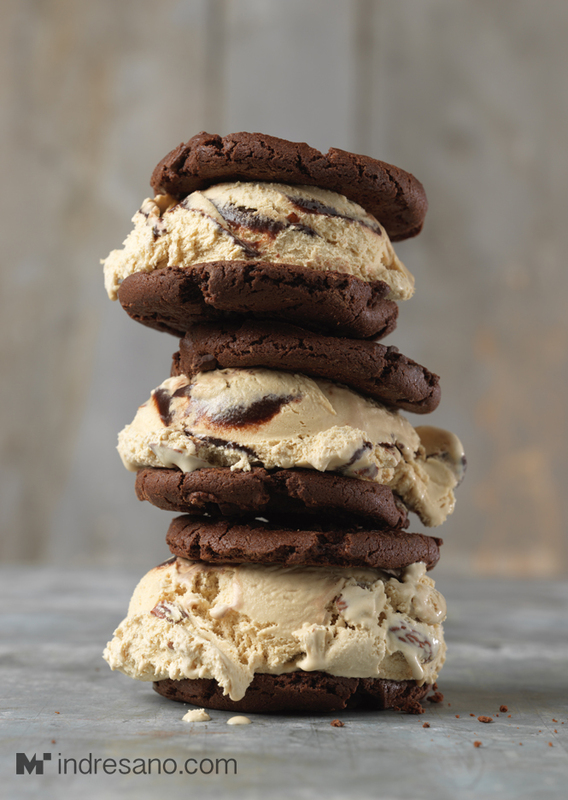 We created a stack of Jamoca Almond Fudge ice cream sandwich cookies to show off this delicious flavor. With the winter refusing to give up, we’re trying to move on and warm up to something more exciting than the snow. And what’s better than some melty ICE CREAM! 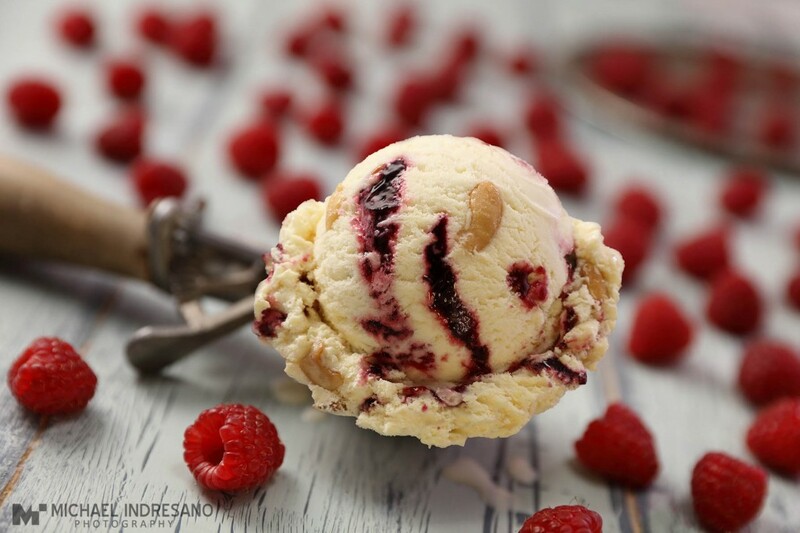 Let that insatiable appetite for luscious flavors and creamy textures stimulate your imagination. You will forget the cold in no time when the sensations explode, popping like fireworks from your taste buds. 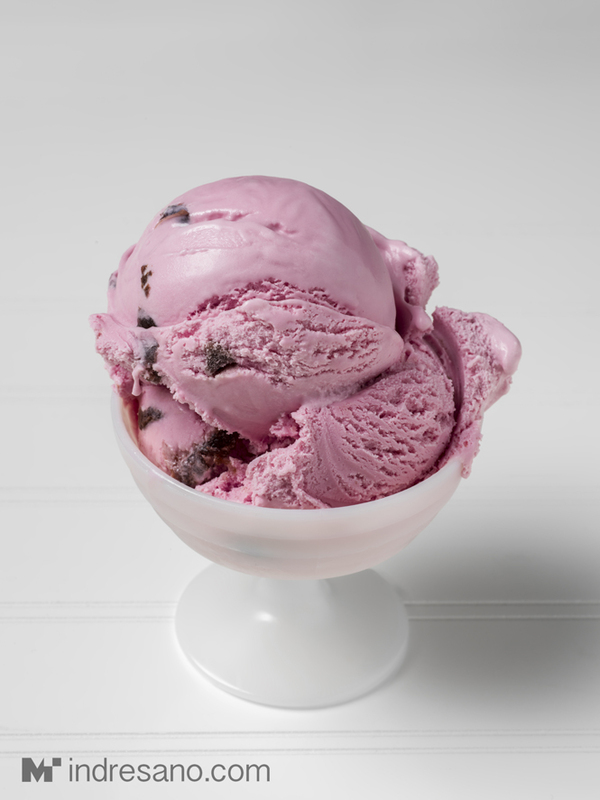 Your brain will instantly fall in love, as all you can think about is “ICE CREAM!” You have just been ice-creamatized! 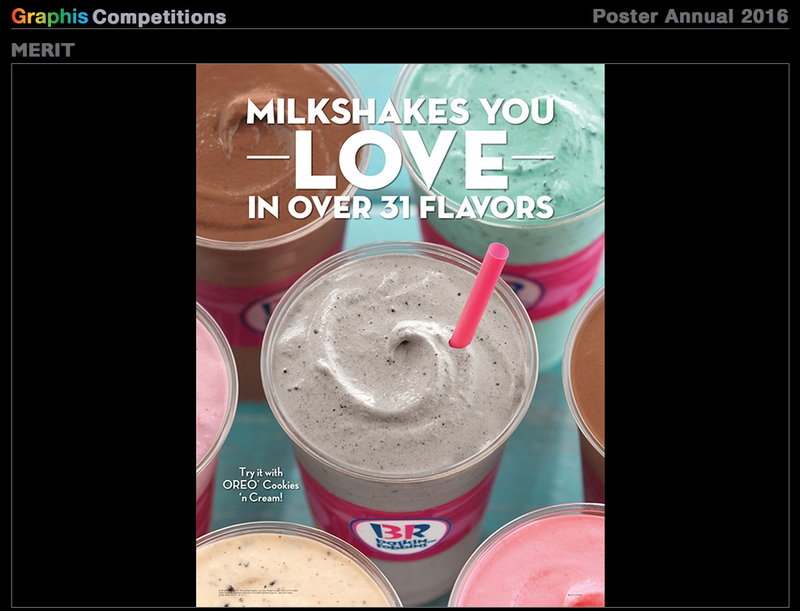 We created these animated GIFs to illustrate that exact point – the love for ice cream never ends. 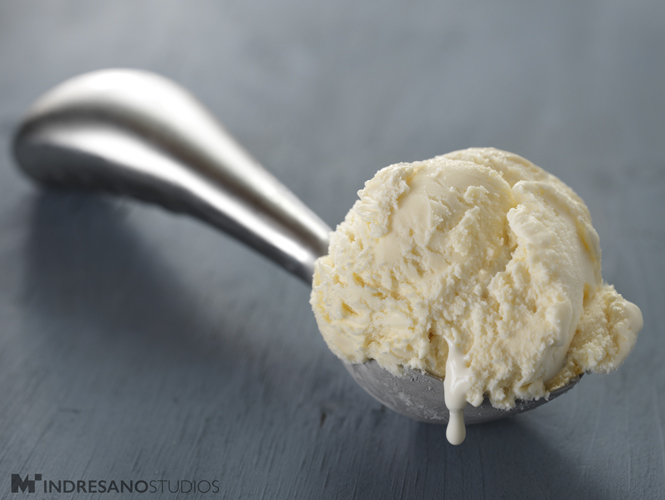 As a Boston Food Photographer studio, it’s no surprise we like ICE CREAM around here! 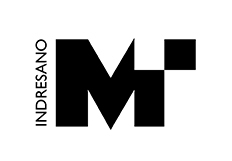 Just take a look through our website indresano.com and you will notice we are obsessed with ice cream! Some people love cat videos, we LOVE ice cream. 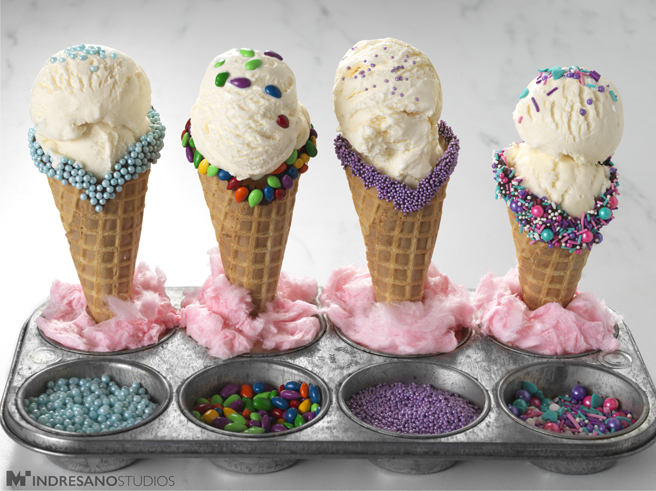 We photograph ice cream, we video ice cream. 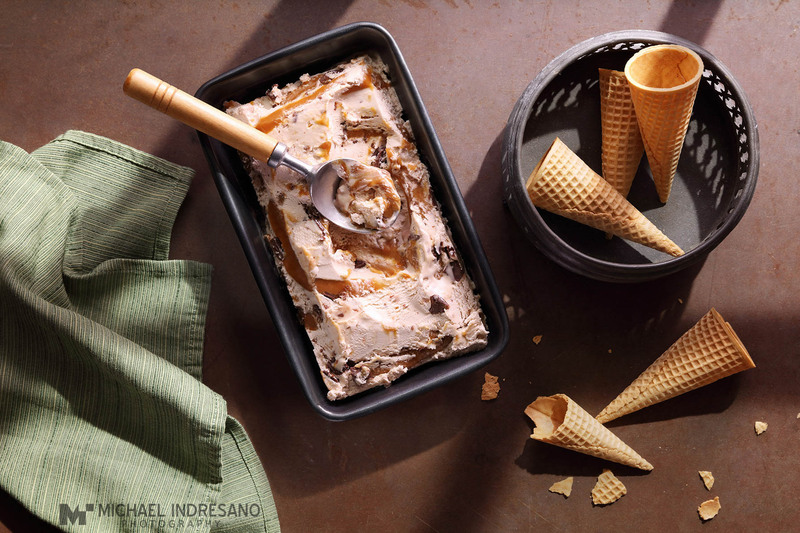 If the sun were a ginormous scoop of tiramisu gelato we would be a sunflower basking in its delicious ice creamy rays. And we would take the ice cream on exciting adventures too. 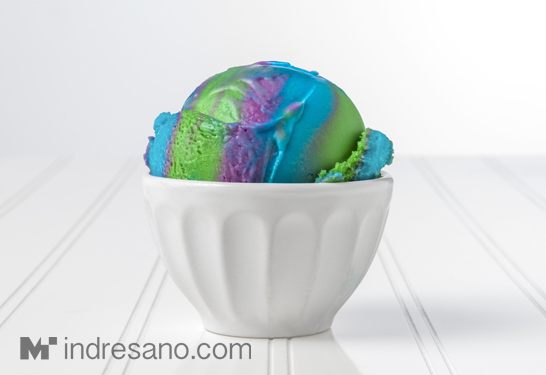 Like this recent project where we made cool melty looks from a few of our favorite flavors. Nothing looks more tasty than melting vanilla ice cream. Except melting chocolate ice cream! 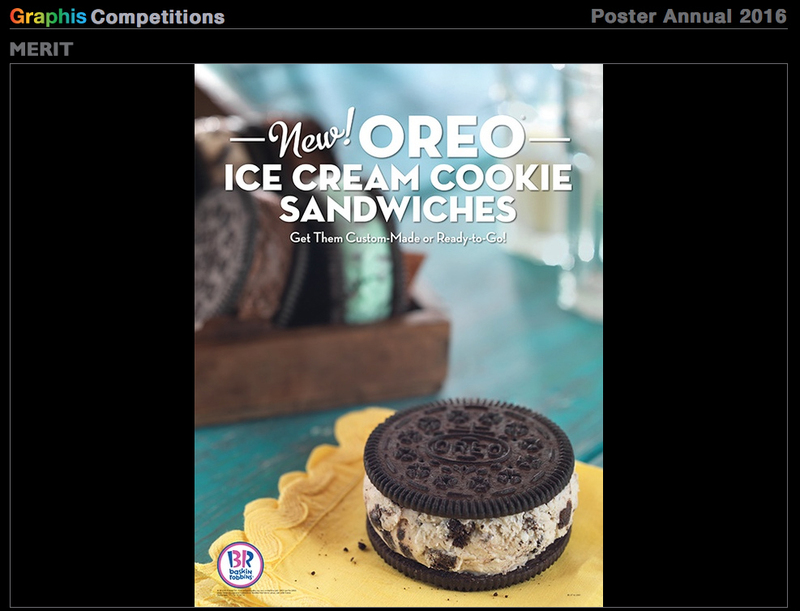 Imagine doing a double twister triple somersault dive straight into this scoop Olympic style? 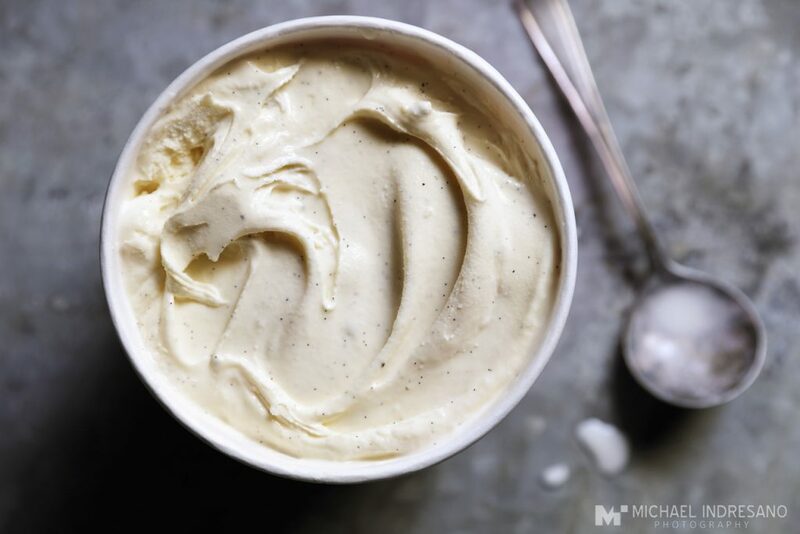 We are such enthusiasts, we even create our own homemade vanilla bean ice cream! Who wouldn’t want to grab a Baskin-Robbins Polar Pizza slice after watching this!? Enjoy! Check out the final video above! Some of the behind the scene shots of our Baskin Robbins Polar Pizza. Took Michael and the team 3 days to shoot the sequences needed to make the cut. Each flavor was shot separately and edited in post to give that final polished look. Momentum, music, rhythm, appetite appeal, and the flow of the video are qualities that we focused on highlighting. In total there are 49 actual shots to create this 30 second video, however we took 2-3 takes per shot. Something that looks simple in a video may be quite complex to shoot. Applying math is an indispensable way of accomplishing such a task. Image above shows how we divided up each slice and marked them numerically for an action sequence. In the final video clip, you can see the results of this kind of math in action. At the end of the day, it is about getting the shot and getting it right. Executing creative ideas take a lot of “thinking outside the box”. 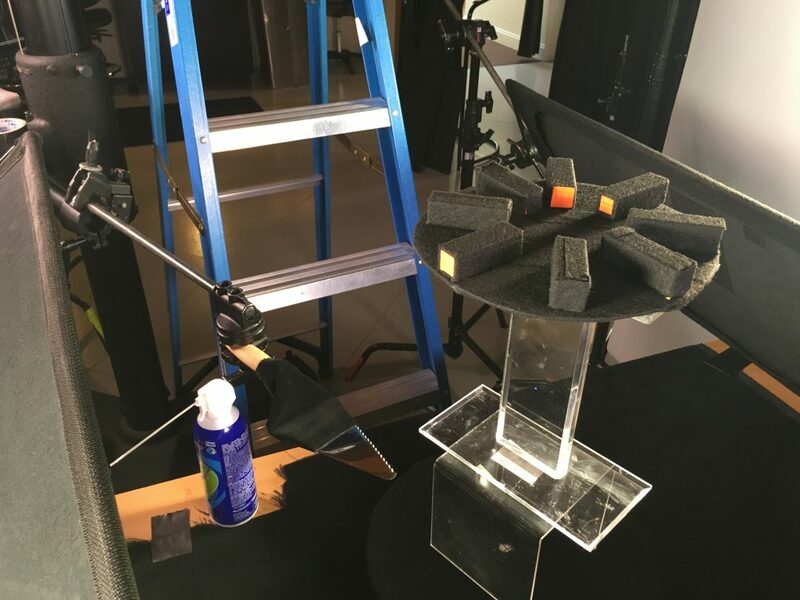 This is just a casual example of the things we use to get the shots we want. 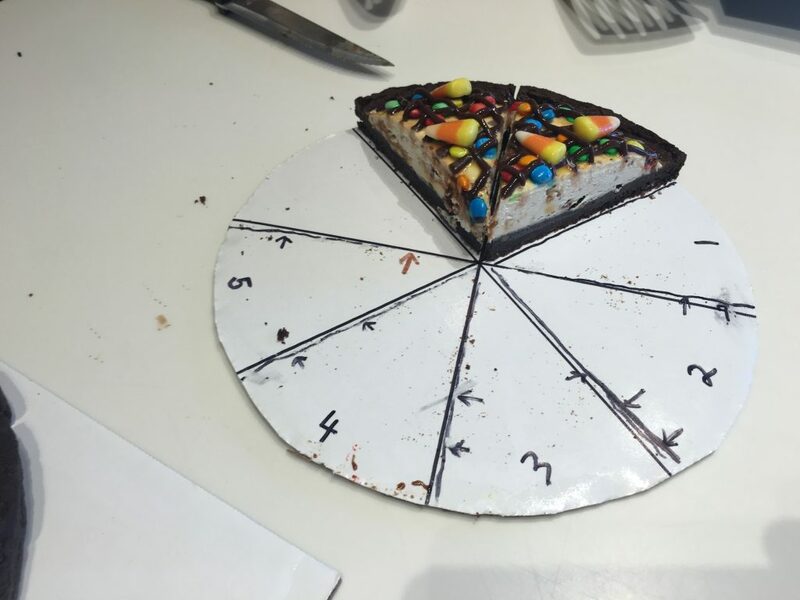 Very cool slow motion behind the scenes video of Jayna dropping the candy pieces on top of the Polar Pizza (below)! See the clip in the final Polar Pizza video at 0.07 seconds in (above). 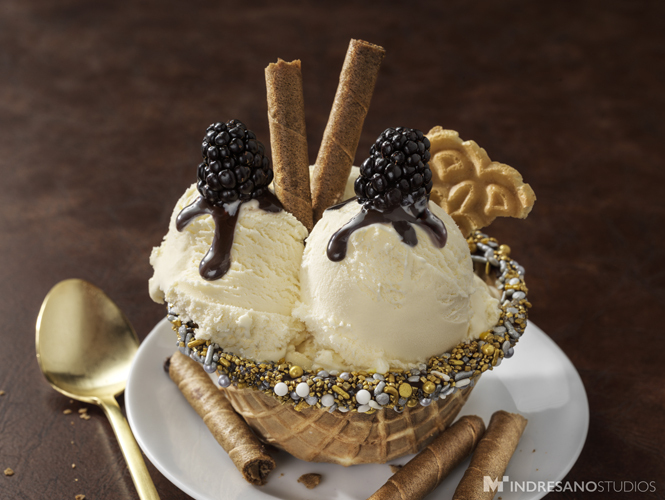 It might be getting cold outside, but that won’t stop us from having fun with our favorite dessert: ice cream! Our team spent some time recently creating some very appetizing treats and showing them off in a lively way. Check it out below! Scooping up ice cream for the whole studio! Don’t leave the sandwich by the window too long! Make sure to eat it before it all melts! 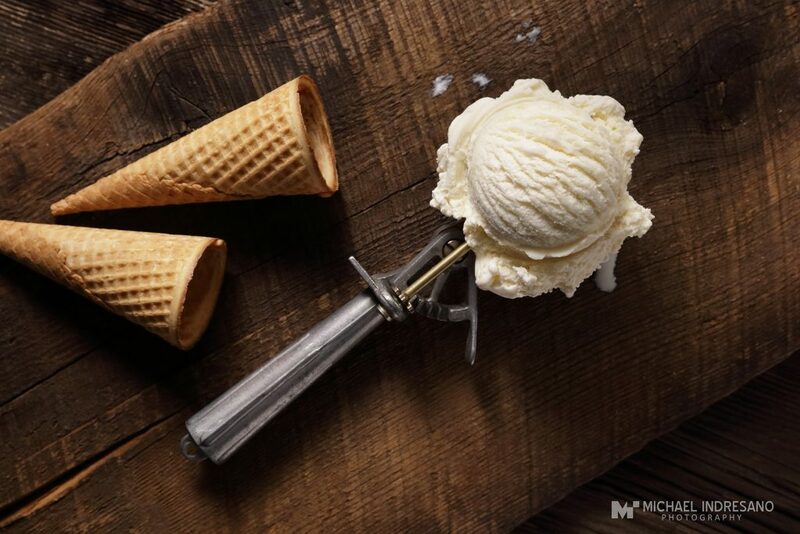 Ice cream scoops not your thing? What about a nice cappuccino milkshake? 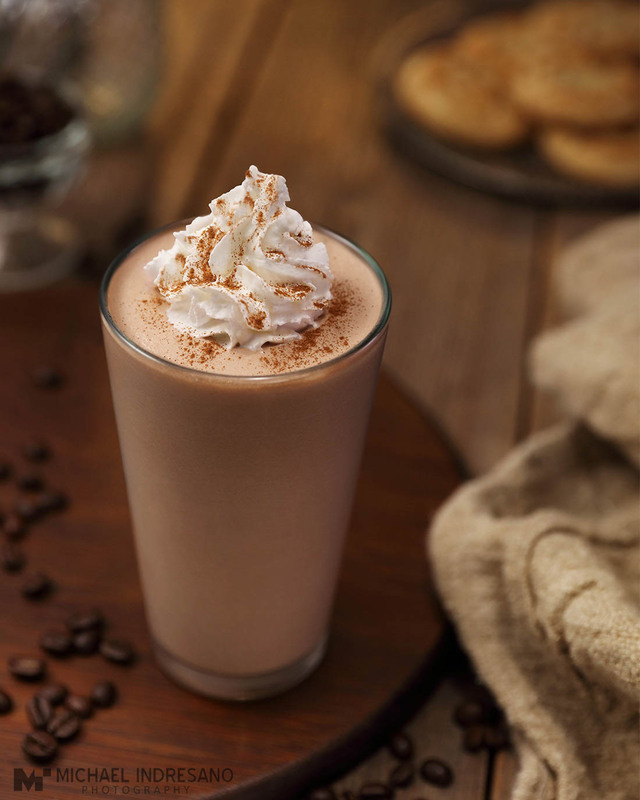 Top it off with with some cinnamon and whipped cream and who could resist! All ice cream tastes better with some hot fudge! 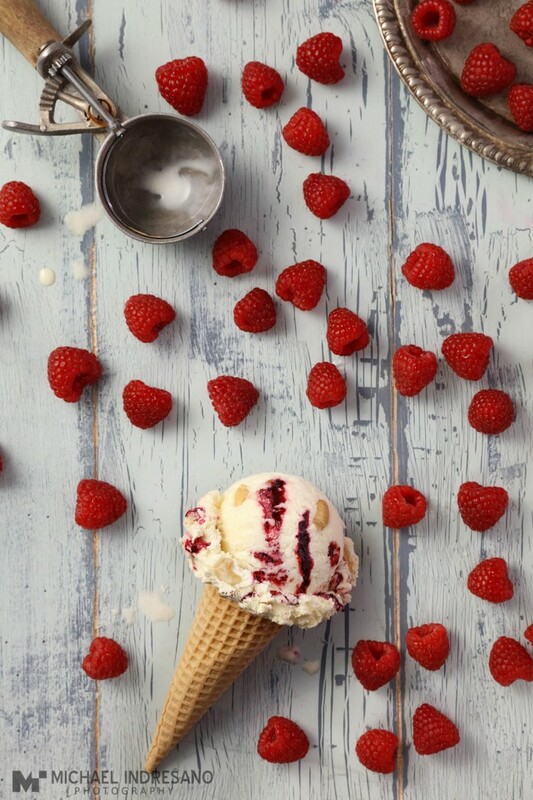 Even though it’s winter, there’s still room for some summery raspberry ice cream in our studio! With all these delicious treats tempting us, we had just as much fun eating it as we did shooting it! 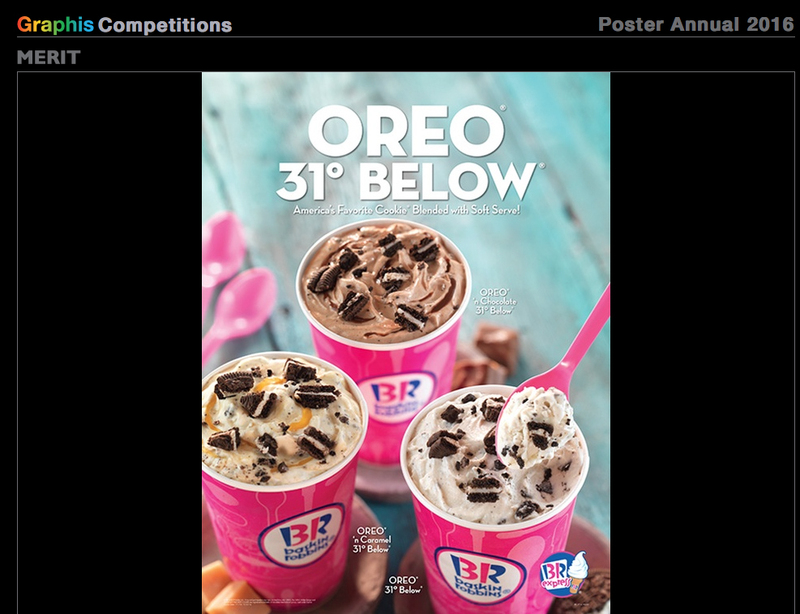 Graphis Competitions honored us with these 4 Merit Awards for our images from a recent shoot with Baskin Robbins! We’ll be celebrating with some ice cream! When it rained, it poured as we captured a short lifestyle video of Timberland’s Waterproof Technology in action! We learned to embrace nature as it comes and enjoy the good things. The best part of the shoot was having the option to stay dry and deciding not to. Here are some more of our favorite behind-the-scenes photo opps from 2012. We hope you enjoy, and we look forward to capturing even more fun moments on set in 2013. Happy new year, everyone! Velcro shoot: the school children — ahem, crew — sit quietly at their desks as they wait to take directions from the teacher during Saturday detention. 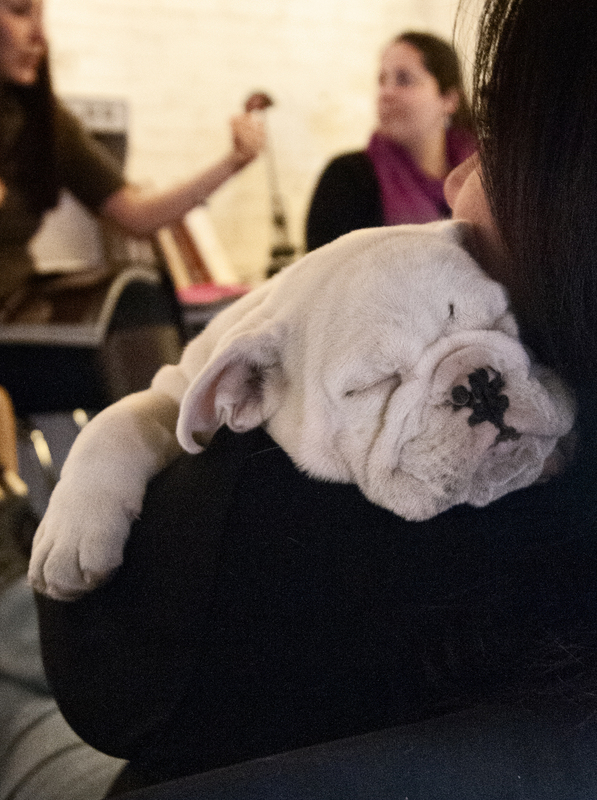 Long shoot days make for a sleepy Lulu! Our 2012 interns learned a lot (while having some fun!) in the studio this year. Thanks Elise, Anthony, and Allie for all your help! The creatives from Hill Holliday don’t mind taking risks on set as they encourage our model to leap over them. 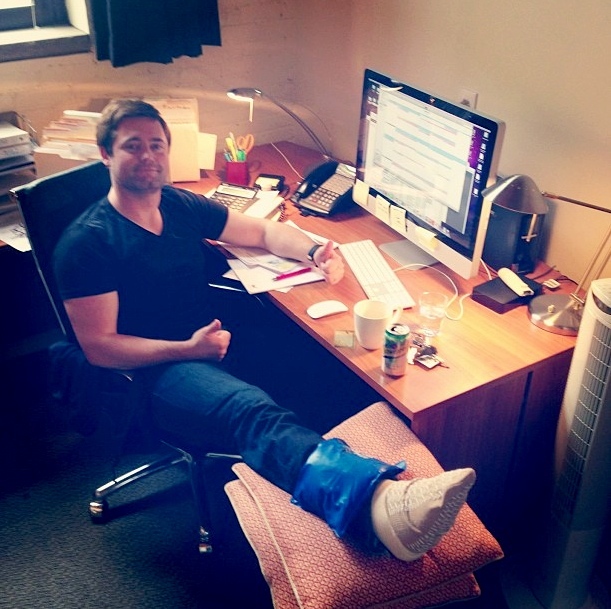 Caleb shows up at work even against Doctor’s orders. Joel and Michael do a great job telling jokes to get our child actors smiling during a shoot. 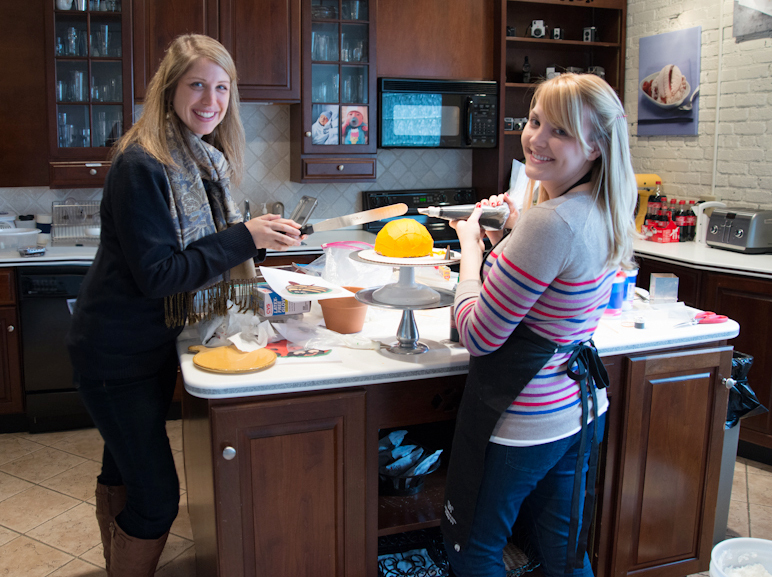 Lauren and Jen get crafty in the kitchen during a shoot – cake decorating takes some serious teamwork! 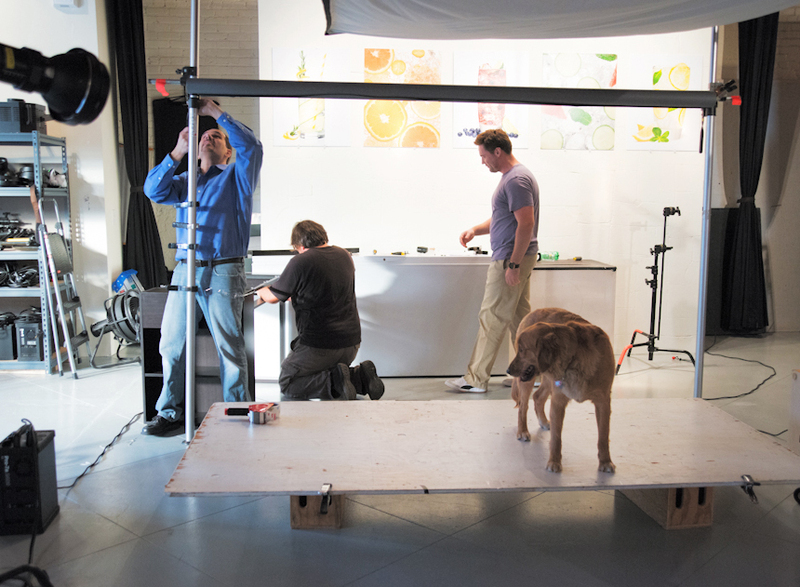 Resident studio pooch, Sophia, takes her place on set as her dad (Michael) sets up. 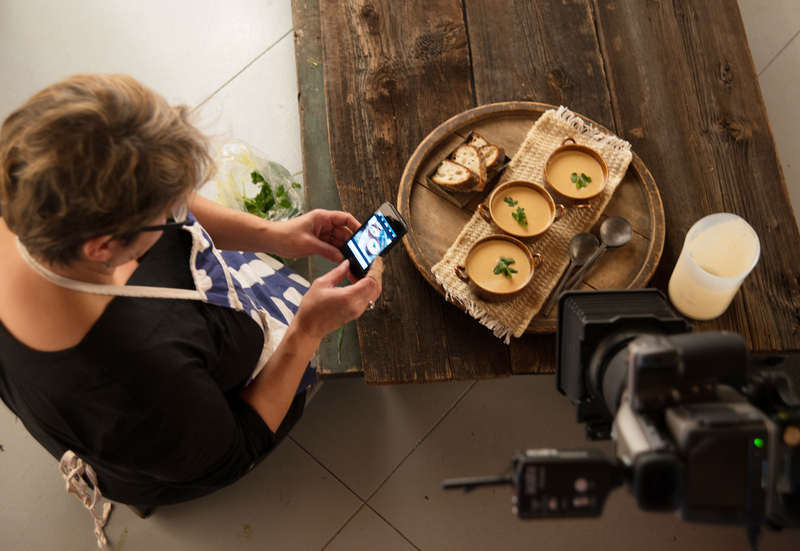 Food stylist and Instagram-enthusiast, Catrine Kelty, takes a moment on set to post a snapshot for her avid followers. Michael and Digital Tech, Jen, review images outside on a chilly day shooting on location, their iced coffees never far away. 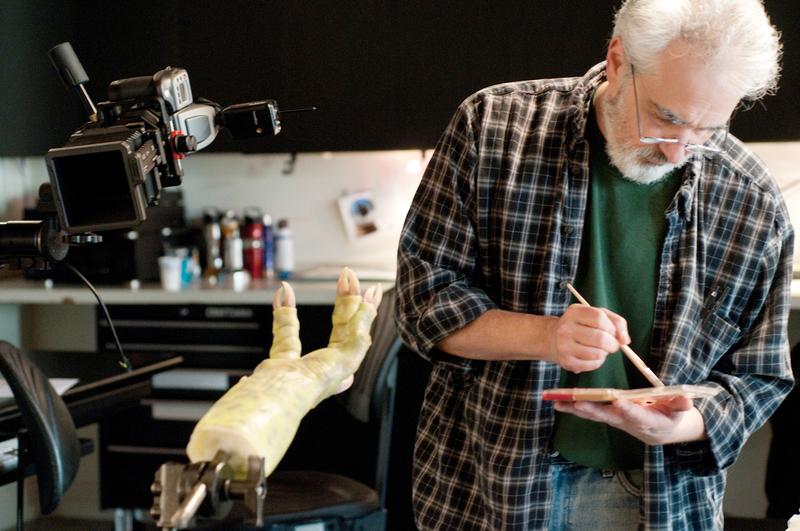 The special effects costume designer puts some final details on the alien hand for a Men in Black III promotion. 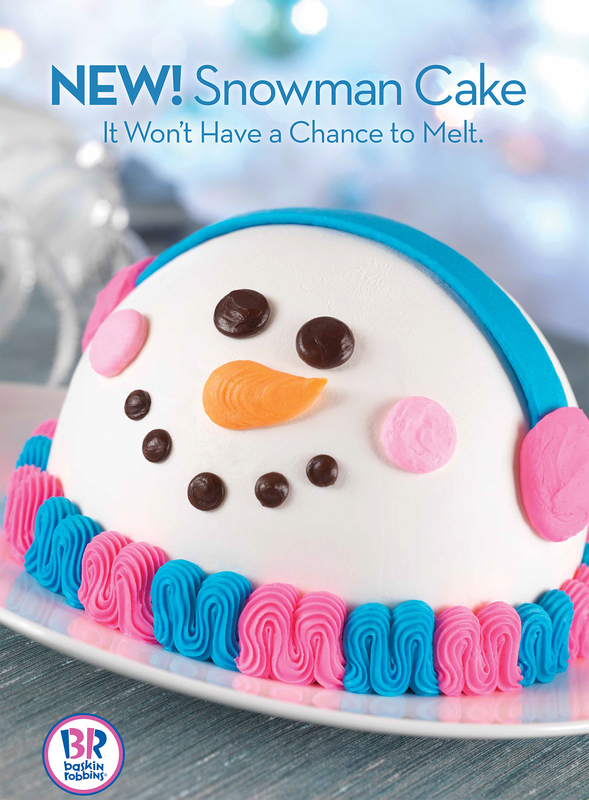 These cheery Baskin-Robbins holiday ads, featuring Michael’s photography, put smiles on all of our faces with their debut this month. We are filled with holiday spirit here at the studio and hope all of you are having a festive December, as well. ‘Tis the season! 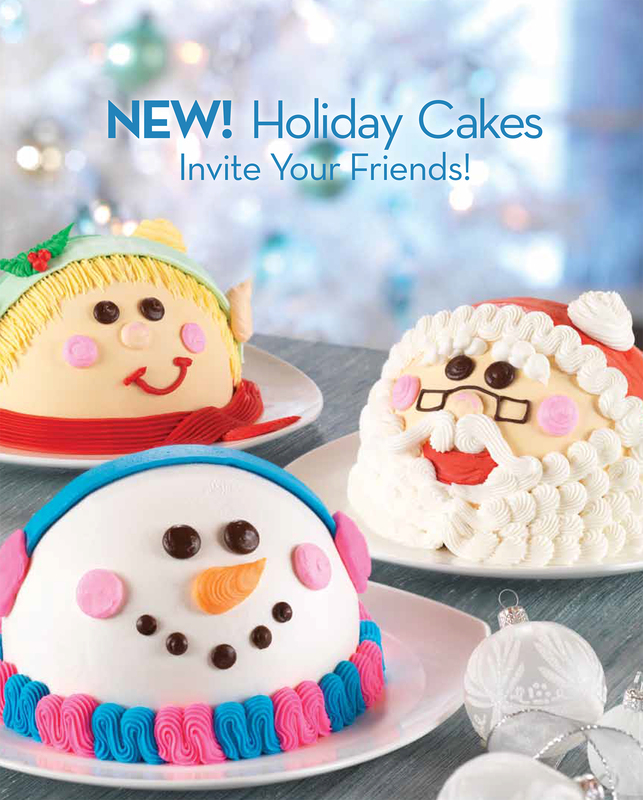 How could you not smile seeing these cute faces light up your table this holiday? 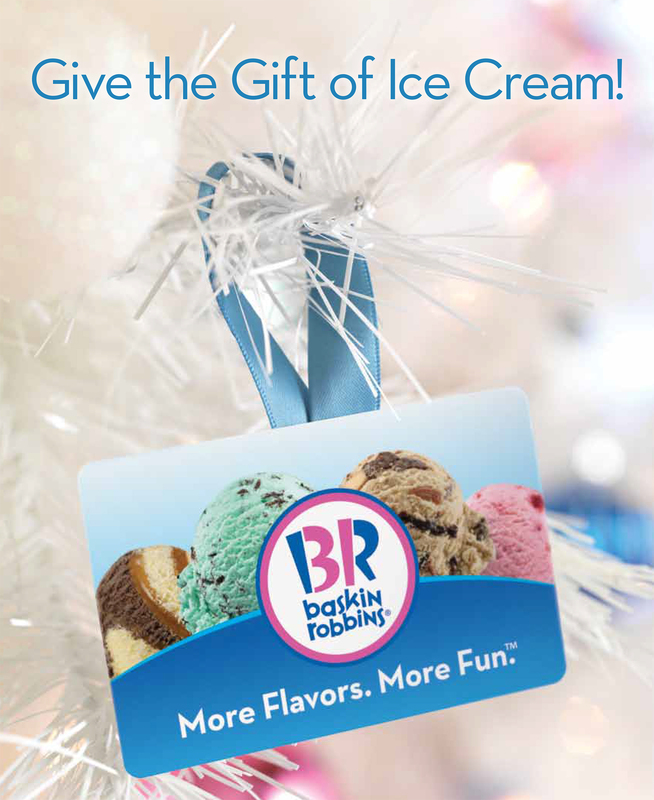 Consider giving the gift of ice cream this year! 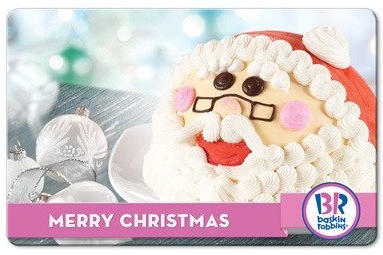 Michael’s photo of a Santa ice cream cake makes picking up a gift card simply irresistible. 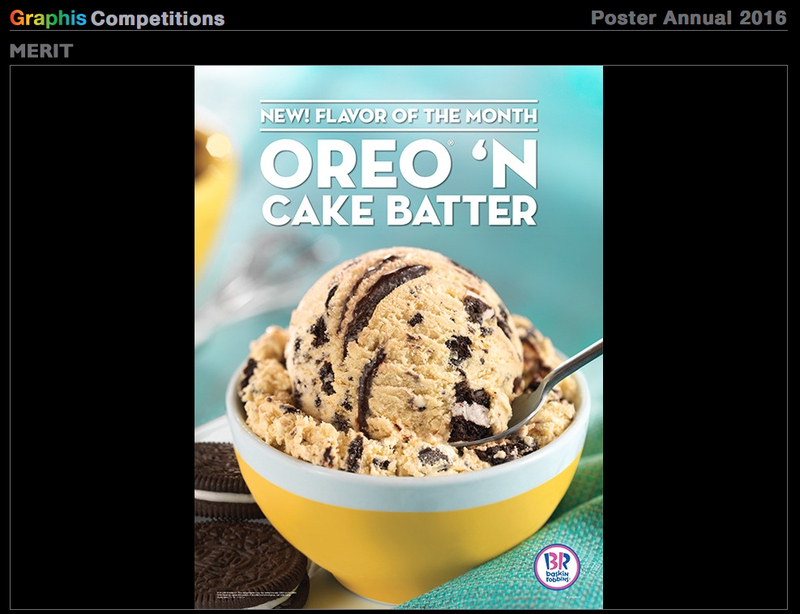 Love featuring the Flavor of the Month. 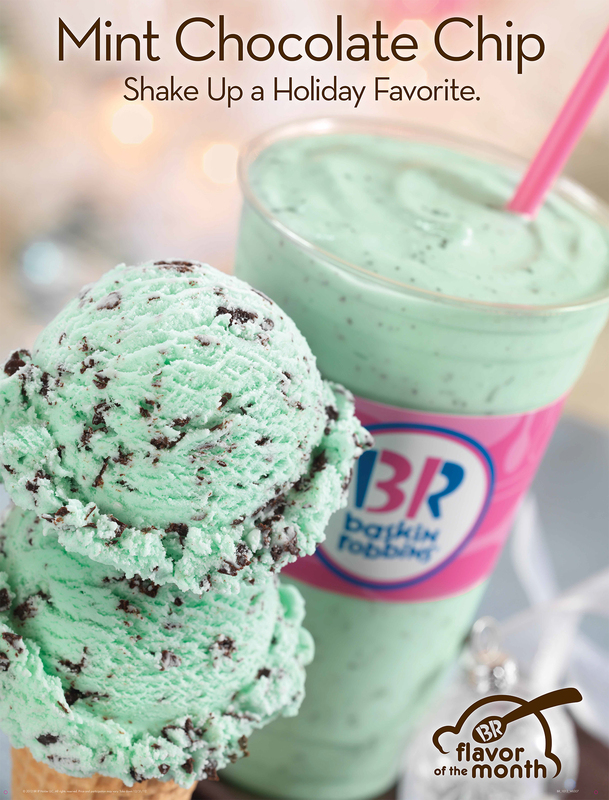 Cool, minty chocolate chip ice cream must be Santa’s favorite!